Bluebonnet's Targeted Choice Pain and Inflammation Support Capsules are specially formulated with a unique blend of sustainably harvested or wildcrafted herbal extracts, such as CurcuWin (46 x more bioavailable turmeric root extract) and ApresFlex (52% more bioavailable, patent-pending boswellia gum resin extract). 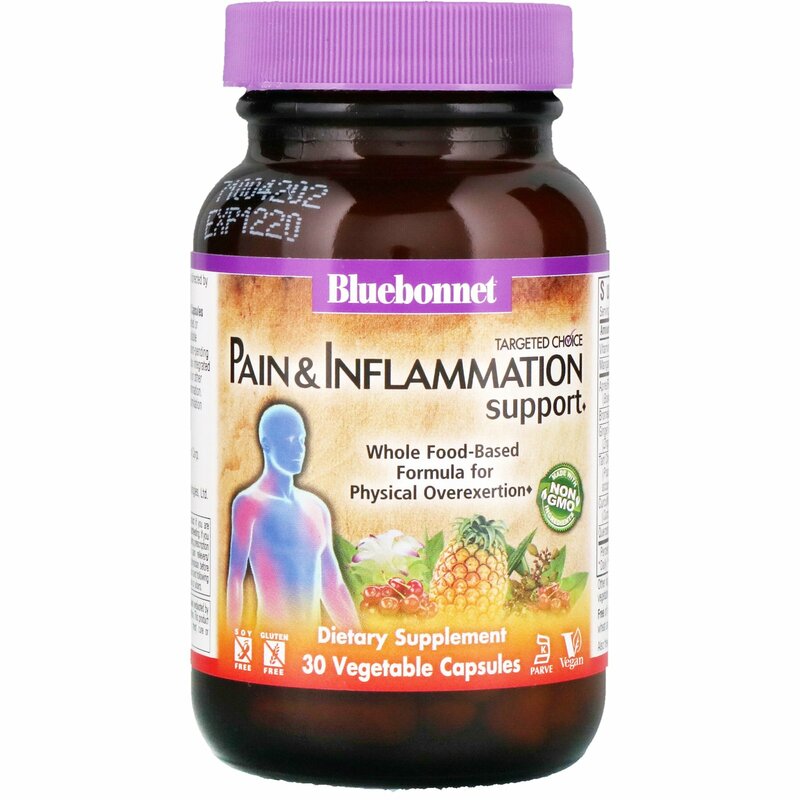 Additional relevant nutrients were also integrated into this formula to help joints recover from the rigors of exercise or other physical stressors that can often lead to temporary pain and inflammation. Available in easy-to-swallow vegetable capsules for maximum assimilation and absorption.